Pet food is a controversial topic when it comes to animal testing. Because our beloved pets will ultimately consume the goods, some claim that animal testing for pet food should be necessary in order to ensure our animals’ safety. But just because pet products and animal testing both involve animals, it doesn’t mean they must be tied together. When we refer to animal testing in the pet food world, we’re talking about laboratory animals being subjected to invasive tests. This is, I believe, what many animal testing advocates fail to recognize. Sadly, animal testing facilities often conduct unspeakably cruel and inhumane studies. In this post, I’ll list 35 cruelty-free pet food companies and give you options for dog food as well as cat food. But first, I want to tell you what animal testing for pet food involves. The thing is, nothing ever has to be tested on animals. Not even pet food. Advancements in technology are allowing scientists to use microchips instead of animals to test drugs, questioning the necessity of any animal testing for any purpose. But pet food is highly regulated in the US by the AAFCO (Association of American Feed Control Organization). In addition to the nutritional analysis, the food has to be fed to live animals. This is called a “feeding trial”. In 2003, an undercover PETA investigator filmed dreadful footage inside a feeding trial laboratory. The animal testing was commissioned by renowned industry giant Iams. Has anything changed since? Yes and no. Thankfully the conditions are better, which isn’t to say they’re ideal. 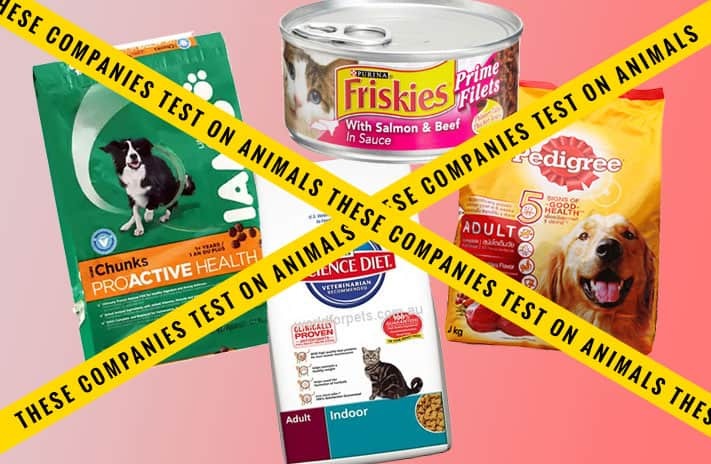 The following pet food brands still conduct laboratory feeding trials and/or test on animals in other ways. They are not cruelty-free. Since these trials are not performed on laboratory animals, they do not involve animal testing. Some companies’ employees will sometimes volunteer their pets for feeding trials. The pets will be weighed daily, but there’s otherwise no change of lifestyle involved. Need more choices? I’m going to end this post with a list of pet food companies that don’t test on animals. Never even thought about this :-O Thanks for sharing. I’m a vegan crazy cat lady, lol, but wouldn’t ever feed my cats a vegan diet for that reason. I just assumed that their animal-based food is a result of cruelty, and therefore I have to live with that guilt ? but didn’t consider less cruel ways of acquiring their food. Dammit now I’m sad, so I’ll just end with: thank you for *all* your research. I love your blog, and it’s a great resource for those of us (trying to live) living a more compassionate lifestyle. Thank you. I agree. At least feeding pets a vegan diet ensures that no other animals were slaughtered for pet consumption. I mean, isn’t slaughtering animals cruelty? Genuine animal lovers are going to love ALL animals, even the farm animals traditionally slaughtered for meat: Chickens, cattle, pigs, sheep, ducks, and even quail. Otherwise, we shouldn’t even have pets that are carnivores. No, Dixie, if you’re going to feed a vegan diet, you SHOULDN’T have a pet that’s a carnivore. There are plenty of pets that aren’t carnivores that will allow you to maintain your views and thrive on the diet that you give them so you’re not selfishly compromising an animal’s health. I think a great idea for dogs is locally sourced eggs because then you know no one is harmed and your dog can still get enough protein since they are omnivores (obviously only when added to something like the honest kitchens base with no meat) I don’t know about cats because I’m allergic so I never have had to research for that purpose. Do you know anything about Canidae? From what I’ve read they don’t test on animals but I haven’t emailed to confirm, and I know you have specific questions that you. It’s not totally clear based on that so please stay tuned for their reply! That’s what I found as well! It seemed really vague. Thanks so much for contacting them! Looking forward to their response. Thank you for posting this!!! 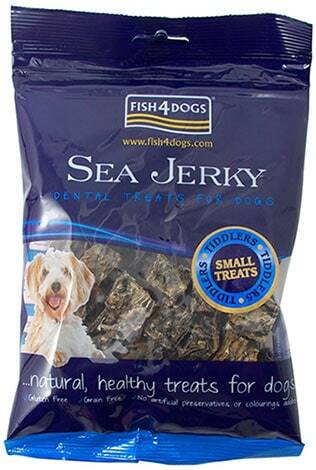 I had never even thought to check if the stuff I’m feeding my dog has been tested on animals! Luckily my pet store carries halo for the same price as blue buffalo so I’ll definitely be making the switch. Thanks for this up to date info. I am not surprised but saddened to read all the academic studies that supported these experimental methods. Money talks, animals can’t. Thank you for being their spokesperson. Thanks so much for your kind words, Erin. Thank you for this! I have a couple of questions. Do all the companies listed as testing on animals actually do lab feeding trials, or are some included because their parent company tests other products on animals? I’m also interested in how to find out whether a company who’s not on these lists tests on animals? For instance, Nutro, Merrick, and Rachel Ray’s Nutrish. Thanks! Hi Kitty! Yes, all companies mentioned here test on animals themselves (as opposed to their parent company) as far as I know. From my research, I couldn’t find any evidence supporting that Rachel Ray’s brand is cruelty-free. I haven’t looked into the other ones, but I’ll do my best! Merrick is owned by Purina and Nutro is owned by Mars Corp. so I wouldn’t trust either one. I’m not familiar with this company, but I couldn’t find anything stating they don’t test on animals. Definitely contact them to verify. Sounds to me like they do test on lab animals, sadly. “Facilities” would mean laboratories. I’d like to stress the necessity of meat in a cat’s diet. Gluten free foods are perfect for them, but I’d try to shy away from any vegan options for cats. Dogs, on the other hand, can safely be vegan if absolutely necessary. I’m a vegetarian myself (future vegan), but I can’t deny my cats and foster cats what they need to survive and thrive. Thank you for sharing this, Suzi! I’m happy that our Fromm (from Wisconsin) is cruelty free! Everyone adores it and it’s healthy for them! Even if you’re vegan, you shouldn’t force veganism on your pets, a dogs natural diet is to eat meat, so you’re ripping away part of it’s natural diet by making it vegan! Thank you. My sister fed her cat a vegan diet for the last 7 years and now the cat is dying from kidney failure. She is only 8 years old. I am so angry at my sister for this. Good to know! 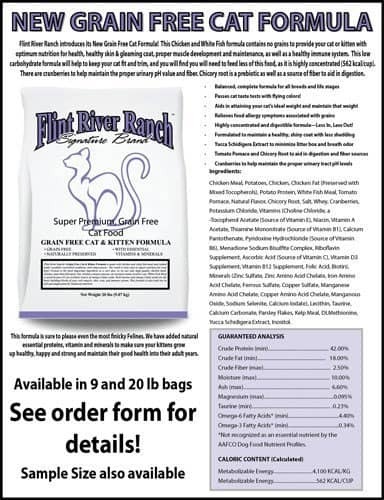 I stopped feeding dry Blue Buffalo to my cats quite a while ago. They now eat Orijen. For wet food they eat Halo and Nutro. I’d be interested in finding out whether those brands are cruelty free as well. What are your thoughts on how to phrase questions when I inquire about it? Thank you so much for this post. I believe that LILY’S KITCHEN – APPLAWS – ACANA – ORIJEN are also cruelty free. They are on PETA lists and Orijen & Acana are owned by CHAMPION PETFOODS who confirmed to me that they do not test on animals but rather have their pets do the food test trials. Hello, Suzy! 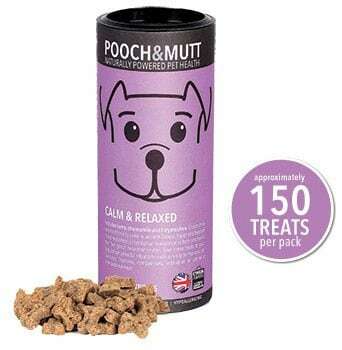 Found another petfood company: http://www.brit-petfood.com/about-us/company-profile/ Can we trust them? Can anyone find out if Petsmart carries a cruelty free brand of cat food? I’ve been researching but I’ve come up with very little so far. Wondering if you know whether Authority cat food by Petsmart is cruelty-free? It’s a Petsmart only brand and I tried to do research to see if they are owned by a larger parent company, but couldn’t find anything. Thanks. Look for the fine print near the ingredients where it says how it meets nutritional requirements. 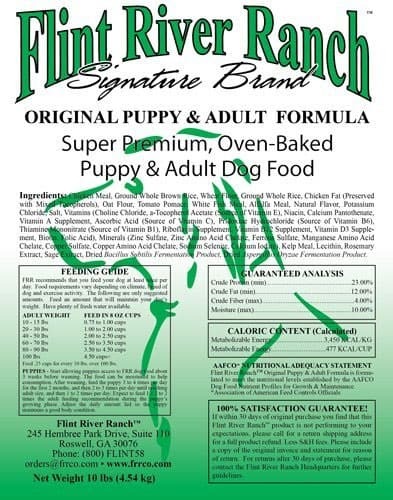 If it says “…is formulated to meet nutritional requirements…” it is not animal tested; if it says “Animal feeding tests have determined…” (or something like that, it is cruelly lab animal tested. Authority is one that still does it the old, sadistic way. I wanted to contact Merrick about their testing policy, since they were recently purchased by Purina. However, I have never contacted a non-beauty company before, and the various laws for the pet food industry seem a bit less straight forward than cosmetics. I was curious what the emails you sent contained. I want to ask in the most direct way. Also would like to know what to ask for this! 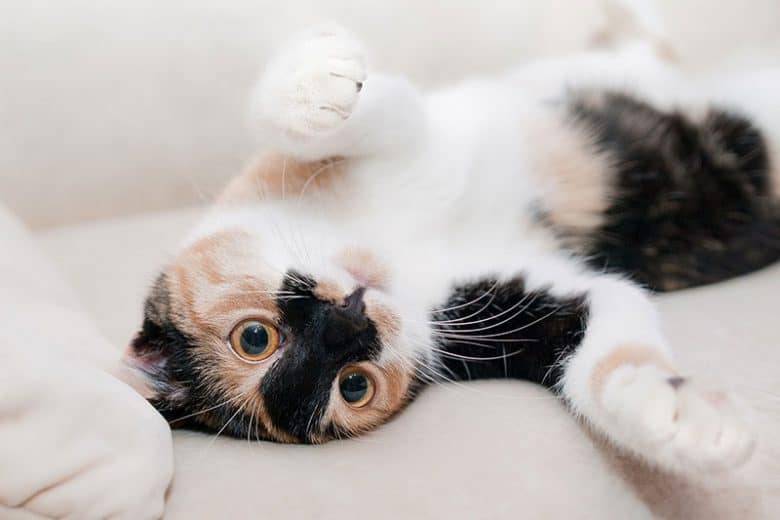 I came across a pet food site that donates pet food and helps animal shelters whenever you buy a bag (BOGO Bowl http://www.bogobowl.com/) but can’t find any information about testing. I’d like to keep supporting them but want to make sure they are in line with cruelty-free procedures. Unfortunately I have 2 diabetic cats and they’re on prescription diets, so I’m kind of screwed there. S’okay, Alison. I’ve got an immunocompromised cat, and she’s on a prescription diet, too. You’re not alone. We have dogs with special dietary needs and love Merrick. I didn’t see them listed on either list. Do you have any information on them? Are any of these available at petsmart/petco? Ok so after reading this article, I was wondering if the food I give to my dog is cruelty-free and I can’t found it.. I give Acana to my dog and when I look on google it’s the only part I can read :” Oct 22, 2015 – Pet food often involves painful animal testing on laboratory animals. … They are on PETA lists and Orijen & Acana are owned by CHAMPION … ” the link brought me here but I don’t see the answer.. Can you help me ? Is it cruelty-free food or no? As far as I know, Natural Balance is cruelty free and they also donate money to local animal shelters. In addition to animal testing, there’s also the question of where and how the meat in the pet food is sourced. 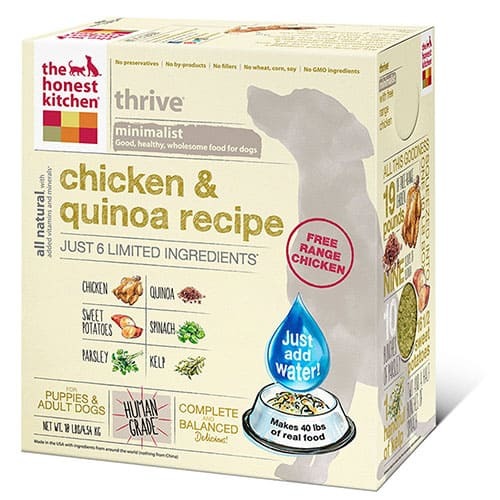 Are there any dog food companies that do not test on animals, and also have relatively cruelty free means of sourcing their meat? By “relatively cruelty free” I mean the cows/chickens do not live miserable lives in cramped, inhumane quarters and are killed in a manner that seeks to minimize pain and suffering as much as possible. Wow. Never thought about pet food being tested on animals. Will definitely make sure what I feed my pets in future is cruelty free. Do you know anything about Oxbow? I feed it to my rabbits, a quick google search seems to say its okay, but I trust you much more! Hi, does anyone know if the brand Addiction cruelty free? They’re not vegan, but they’re cruelty-free (which means not tested on animals if you look it up). all animals raised on factory/conventional farms live tortured lives and their entire existence involves cruelty …. and almost all meats used as ingredients in pet foods are from factory/conventional farms …. but i think the article was referring to the pet foods being used in labs and tested on animals ….. sort of an inaccurate read … as the entire pet food industry is based on cruelty ….. they even use euthenized pets as ingredients ….. they have contracts and agreements at ‘kill’ animals shelters for this http://www.dogsnaturallymagazine.com/rendered-products-in-pet-food/ ….. Agreed and they even use diseased animals that didn’t even make it to the slaughter line that can’t be used for human consumption! 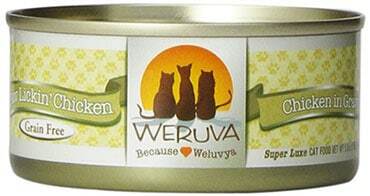 If you would like to try new foods for your cat you can always go to Petco and try a few brands out. The great thing is you can return open bags of food in exchange for a different one. The open bag of food gets donated so it doesn’t go to waste and you don’t waste your money. 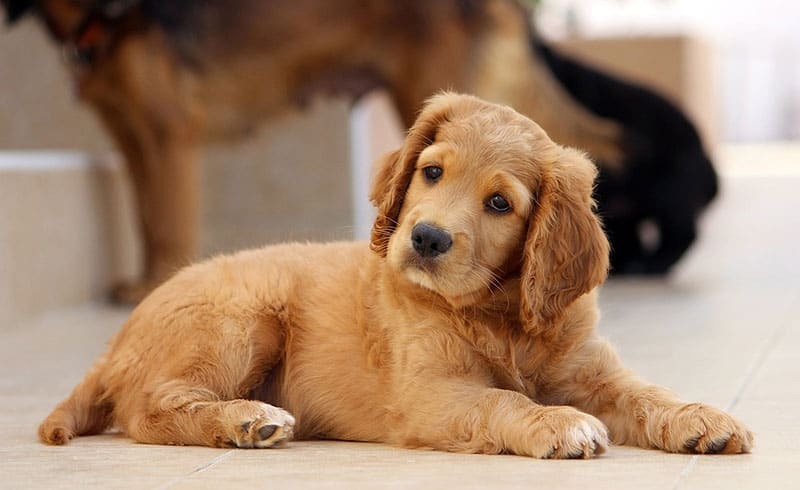 They usually have someone who understands pet nutrition and can answer a lot of questions. I feed my dog Natures Recipe and I’ve been researching if it’s it’s cruelty free but I haven’t found any information that confirms whether it’s cruelty free or not. But other than that great article and it’s very informative. 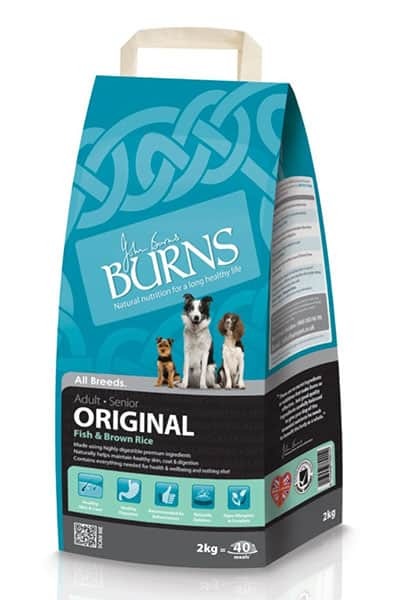 I make my cat food using free range boneless, skinless chicken thighs, bell and evans chicken livers and get the nutritional supplement from Alnutrin. Much less expensive than high quality canned food and i can feel safe that it’s cruelty free. Cats are not vegans. Hi, I have a senior kitty with IBS who is currently on Purina’s HA hydrolyzed, which is a prescription diet with hydrolyzed protein. Is there a comparable product available that isn’t tested on laboratory animals? I never knew that pet food could be tested on animals, my cat sadly eats Whiskas, does anybody know of any cruelty free brands that are sold in Europe? U can allways buy on internet or buy YARRAH, for sure is sold in Europe. I am wondering about Wellness . Does anyone know what category they fall into? That is what I feed my cats . I use wellness for my dog and actually just looked it up. They do use feeding trials, but do so with their own dogs/cats and no surgical procedures are performed. They said they are cruelty free, but don’t qualify for the peta certification due to the feeding trials. But I feel that since they trust this process enough not to cause harm to their own pets, I can trust enough in them. They also said that they only use food grade ingredients. Hope this helps. Thank you , I appreciate the reply. Do you have an info on Orijen or Arcana? Does natures variety test on animals that’s what I feed my dogs right now. Do you have any lists of pet food that is made from animals raised ethically and humanely? Open Farm is the only one I know of. This is a great list, but I’m curious about the animals that actually go into the food as well. My understanding is that Orijen kills the animals humanely. 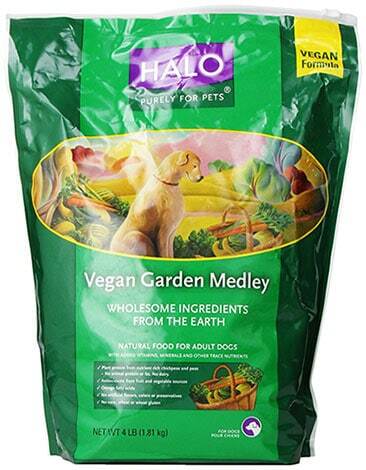 Anyone else have any information on any other dog food company that is humane from start to finish? Open farm is certified humane raised and handled. This brand is on Peta’s Do Not Test List. But… it’s pet food. Of course it’s going to be tested on animals! Did not see my brand of dog food on either the “good” OR the “bad” list. Can you give me some feedback on “Taste of the Wild” dog foods please? I use the Wetlands formula for my 2 large breed Weimaraners. This blows my mind! I ran across this post by accident and decided to start switching my dog from Blue Buffalo to Holistic Blend. Thank you for sharing! Blue Buffalo is also on the PETA list of brands that conduct animal testing. Do you know if Good Natured pet food (its a petsmart brand) tests? Does anyone know what the deal is with Petropics/Tiki Cat? Hi: Did you ever get a reply regarding Tiki Cat? I do not find them on PETA’S list, either. I’m in the UK and my dogs are fed with Lily’s Kitchen. Do you have any information about their testing policies please? I thought I was doing so well but seeing this has made me feel less confident. Hey! I’ve recently started the switch to cruelty free and your site has helped so much! I know I’m late to this page but do you know if the publix generic pet food brand is cruelty free?